This is a great collection of solitaire games with a nice interface. Goodsol Development has published Goodsol Solitaire 101 version 2.12, a maintenance update to this collection of the most played solitaire games for both Windows and Mac OS X.
Goodsol Solitaire 101 contains 101 games, including Klondike (a.k.a., “Solitaire”), FreeCell, Spider, and many other favorites. This version has an updated game selection interface that makes it quicker to find games and easier to organize them as desired. In Goodsol Solitaire 101, you can play any of more than 2 billion deals for each game, and the program keeps track of your score and time on each deal, as well as other statistics. Better yet, you can play in climb mode, where deals are played in ascending order for a total score, for direct comparison with other players. The game list can be arranged according to any of the statistics, and automatic groups let you select from, for example, games you have not played yet. Of course, all scores can be reported to the online high score server, which shows results for individual games and lets you compare your results against other players (even those on other platforms or using different Goodsol products). You can also customize your experience by using different free card sets, such as the Halloween Card Set, perfect for the current season. You can download a free 30-day trial version for Windows 8/7/Vista/XP or Mac OS X 10.4 or later (Tiger, Leopard, Snow Leopard, Lion, or Mountain Lion). When you buy a copy here for only $19.95, you get both Windows and Mac versions for one low price. You also get access to 34 bonus games not available in the trial version. Note that this is the largest current Windows version that supports climb mode (unless you apply to be a beta tester on the Goodsol Solitaire Forum); Mac users may want to consider Pretty Good Solitaire Mac Edition as well. 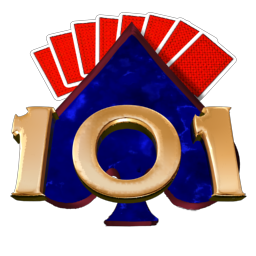 Goodsol Solitaire 101 is one of the games based on our proprietary Goodsol Solitaire Engine, for which your humble blogmaster was the sole programmer and primary designer (with Thomas Warfield). GSE currently runs under Windows and Mac OS X, obviously, with a version for iPad in the testing phase, and it is regularly being improved to provide additional features (and, for some products, even more games). Where Gamecraft has been recently. As regular readers will have noticed, this blog has spent a little time offline, and even more time without new content, although even occasional browsers will see that it now has an exciting new look. In the past two months, we have had crashes of our most important Mac OS X, Linux, and Windows systems (in that order). These were significant setbacks in and of themselves, but when a microISV is producing at full speed, and roadblocks are encountered, something has to give. In this case, this Gamecraft blog was one of the casualties. The Linux (Ubuntu) issue was a bootstrap failure on our web server caused by a power outage during a major upgrade (and assisted by the new procedure of displaying update text and requiring user input to continue, without which the window of “opportunity” would have been much smaller). Once it became clear that there was not going to be any reasonable way to recover/continue, it was not too bad rebuilding the system, and a little bit (including the entire database for this site) survived intact without requiring restoration. Unfortunately, the server configuration (i.e., the hard part) was not fully recoverable, so that took some time to get working (and is still not completely to my liking). The Windows issue stemmed from a (poorly timed) decision to upgrade my primarily development system to Windows 7 prior to public release of Windows 8 (a.k.a., Windows Ugh). I almost always do clean installations, rather than upgrades, for my Windows systems, but the above issues suggested to me that I should do a 32-bit upgrade to minimize the disruption. What I did not know is that in the interest of “security”, Win7 no longer supports the domain controller we have been using internally for many years, so the upgrade could not sign in, so it could/would not access the user information for my account, so the Start menu, registry, and other user-specific settings were all gone. Result: All of the program files were installed, but the products ranged from working if manually launched to completely unusable. So, at present, all of our systems are back in working order. We used the opportunity to improve our Mac OS X development process, including the introduction of code signing to support Gatekeeper, and the builds are running on a faster machine (which almost counterbalances the slower virtualized system). Likewise, we ended up maxing out the Windows system memory and installing Windows 7 (64-bit) from scratch, giving better performance all around (except for the few old 16-bit tools I still used, which no longer run). For the web, we decided to build a better blog (first) and then devote appropriate attention to our other sites, which, frankly, had been mostly neglected. In the meantime, of course, we have remained steadily engaged in development, producing several new game versions and upgrades, as well as progress on a few new products, so expect a number of announcements (many after the fact) soon. In the future, we will be utilizing the new and newly rebuilt development systems to full capacity, producing new and updated products for a multitude of different platforms, including (primarily) iOS, Windows, and Mac OS X. Our new web sites will (also) be announced here as they are published, and we have plans to begin publishing game reviews for both Indie and AAA titles. Please be sure to subscribe to our feed. Thanks! A free update is now available. As a refresher, PGSME is a Solitaire program for Mac containing 350 different games, plus 50 bonus games, with over 2 billion deals of each. 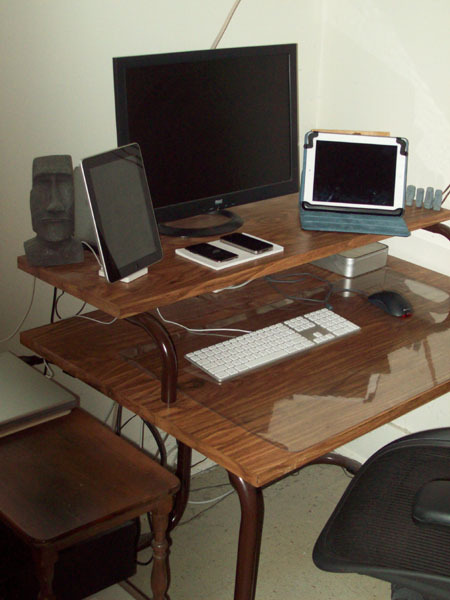 It runs on Mac OS X 10.4 (Tiger) and higher, including both Intel and PPC systems. You can download a trial version, and you can purchase a copy for only $24.95 US. This is the latest product in a long series of upcoming game releases from Goodsol. Next up: Look for an upgrade to Action Solitaire (free to anyone purchasing the game between now and then). In the previous installment of Preparing for Mac App Store Submission, I discussed the reasons and methods for implementating Mac App Store receipt validation within your project. At this point in the series, you may have already completed all of the currently necessary and recommended changes for converting your Mac OS X game, available for direct download, into an application suitable for the Mac App Store (MAS); you may have even submitted it already. The first step is to understand application sandboxing and the implications of using it for your game. The definitive documentation for Apple’s implementation of this technology is App Sandbox Design Guide, which is recommended reading. Essentially, by default, your application is contained entirely within its own (read-only) bundle and a directory named by your bundle identifier (e.g., ‘com.goodsol.com/PrettyGoodSolitaire’) under the ‘~/Library/Containers’ folder. An internal technology called Powerbox regulates (reads: mostly disallows) any access outside these two folders. Most access to hardware features and user information is also disallowed without a specific entitlement. If your game is entirely self-contained, then sandboxing may not present much of a problem. If you use certain technologies, such as submitting high scores to a web site via the Internet, then you will have to enable appropriate entitlements. If you have more involved interactions, especially involving other applications (or helpers), you may be forced to redesign/eliminate those features, or else give up on sandboxing (and, hence, the Mac App Store). Whatever the situation, you will need to determine how this requirement will affect your application. You may read and write files within your sandbox folders; this process is transparent provided you are using system calls to obtain the correct user folders (and you should never hard-code folder paths, anyway). You may update your application preferences (.plist) using a standard API. You may provide a simple link to a web page; this is allowed by default entitlements (i.e., not considered an outbound connection). You may not read from nor write to most locations outside your sandbox, including the user desktop and document folders, without the user explicitly selecting the location (and the appropriate entitlement set). You may not use any Carbon navigation dialogs, nor any Cocoa navigation dialogs other than NSOpenPanel and NSSavePanel, and you may not simulate user input to those panels. You may not use “incompatible” functions, including those included in the Authorization Services and Accessibility APIs. You may not send Apple events to arbitrary applications, nor broadcast user-info dictionaries. You may not load any kernel extensions. You may not alter preferences of other applications, nor terminate other applications, including helper applications. You may not sign future updates with a different certificate than the original; doing so will cause Mac OS X to deliberately crash the program. You need an entitlement to allow outbound network sockets (i.e., for sending information to the internet, operating as a client). You need an entitlement to allow inbound network connections (i.e., for acting as a server). You need an entitlement to allow read or write access to folders or files selected explicitly by the user (via NSOpenPanel/NSSavePanel). You need entitlements to access the user’s ‘Movies’, ‘Music’, and ‘Pictures’ folders. 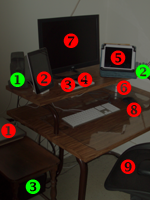 You need entitlements to access camera, microphone, or Bluetooth devices. You need entitlements to access serial, USB, or FireWire ports. You need an entitlement to allow printing. You need entitlements to access the user’s address book or calendars. You need an entitlement to allow the use of Core Location for determining geographical location. After perusing the notes above, write down a list of features that may (or should) fall afoul of application sandboxing and be sure to test each of these features to confirm that they are working prior to enabling sandboxing entitlements. The next step is to enable the default entitlements for sandboxing; essentially, this disables all restricted access types, which allows us to verify which features of the game really need entitlements, and which work without modification. To do this in Xcode 4.2.1 (under Lion) is fairly simple: Just open the ‘Summary’ tab for your target settings, scroll down to the ‘Entitlements’ section, and check the ‘Enable Entitlements’ (top) checkbox, and then confirm that the ‘Enable App Sandboxing’ checkbox is also selected. If you are not already using iCloud in your project, then you should make sure that the ‘iCloud Key-Value Store’ is unchecked and cleared, and that that ‘iCloud Containers’ table is empty. What the first checkbox actually does is create an entitlements file, a property list with the root name from ‘Entitlements File’ (defaults to the project name) and ‘.entitlements’ as the extension (e.g., ‘Pretty Good Solitaire.entitlements’), and it adds that file to your project. The other (app sandboxing) checkbox automatically adds the ‘com.apple.security.app-sandbox‘ key to the entitlements file, which sets the default/maximum restrictions. In order to build with application sandboxing enabled, you must be code signing the project. Clearly this is already the case for projects being submitted to the Mac App Store. However, if you are only testing and/or do not have an appropriate certificate (such as in our case where, as a contractor, I do not have access to the distribution certificate), you can follow the instructions in the ‘Create a Code Signing Certificate for Testing‘ section of the App Sandbox Quick Start. [Editor: Sorry for no direct link, but section links on that page are fuzzled.] The next section, ‘Specify the Code Signing Identity’, explains how to make the new certificate work with your project. Your next step is to verify access failures with application sandboxing enabled in the project. To do this, start by launching the Console utility (from ‘Utilities’) and clearing its display. This will show log entries to confirm a service denied by sandboxing. Now, work through the list of suspect features that you created earlier and retest every one of those features with the new signed/sandboxed build. Failures are, of course, expected, and for every failure there should be a log entry in Console from “sandboxd” and usually containing the text “deny” and an indication of the restricted service. If there are any features that are confirmed to fail only under sandboxing and for which there is not an appropriate entitlement, you may want to check the App Sandbox Temporary Exception Entitlements page for a solution that, as the name suggests, may work for the time being, but will probably not be available in the future. If none of the entitlements nor temporary exceptions will resolve the problem, then you may need to redesign or remove that feature and/or lobby Apple to add an entitlement for the particular action you are attempting. The next step is adding the necessary entitlements to the project, which should be done as an iterative process. For each entitlement that you anticipate requiring, enable that entitlement, rebuild the project, then test every feature that is confirmed to have failed with sandboxing previously, noting each one that now functions correctly. When you have completed this process, you should have a reasonably small number of entitlement keys (perhaps even zero) enabled, and all of the features of your program should be functioning properly. It is always a good idea to double-check all of the identified features, as well as do some additional testing, once the “final” list of entitlements is enabled. If you still have features that do not work under sandboxing (only), and have no appropriate entitlements, then you may have a decision to make. In our case, we only had to add the ‘com.apple.security.network.client’ entitlement key, in order to perform submissions to our online high score server, but then we had to make the hard decision to lose the ‘Open…’ and ‘Save…’ features from our store version (for reasons stated previously). The penultimate step in the process is creating file migration rules which is simply a property information file that is used only once (on a system) to indicate which existing files should be moved (not copied) into the sandbox. If you have a new project, without existing users, then you have the luxury of skipping the final two steps. The rest of us need to create a new property list, named (exactly) “container-migration.plist“, and add it to the project. This file contains a dictionary key, ‘Move‘, which contains string keys indicating the names of folders and/or individual files to be moved into the equivalent location within the sandbox (or array pairs of strings if you wanted to both move files into the sandbox and relocate them within the relative folder hierarchy, though I cannot think of a good reason why you would). This is all it takes to move the entire (unsandboxed) ‘~/Library/Pretty Good Solitaire’ folder into the equivalent sandboxed folder (the unwieldy ‘~/Library/Containers/com.goodsol.PrettyGoodSolitaire/Data/Library/Pretty Good Solitaire’). Important: Note that the files are moved to the sandbox; they are not copied (and there is no documented process to only copy them). The ramifications of this are that existing users switching to a sandboxed version will automatically have their files and settings moved for them, but those files and settings will no longer be available to any unsandboxed versions, nor to any other application that may have been accessing these files. The final step is to test the file migration process to assure that your migration file works correctly. On a system on which you have unsandboxed data for the application in question, manually duplicate the folder and/or files (in ‘Finder’), giving you a backup for additional testing (especially important should the migration fail). Confirm that the sandbox container folder (i.e., ‘~/Library/Containers/<bundle_id>’) does not exist (and delete it and empty the trash if it does). Build the application with sandboxing enabled and with the ‘container-migration.plist’ file included in the project. Run the application. A container folder should have been created and the specified files/folders moved into appropriate locations within the container’s ‘Data’ folder. If you need to retest (or if you decide against sandboxing entirely), you can completely delete the container folder for your application (‘<bundle_id>’ and below, not the ‘Containers’ folder) and copy the duplicated data back to its original location. Following the above process to enable application sandboxing in your game, after having updated your project based on the previous five parts, you should be completely ready to submit to the Mac App Store. Go for it! Just keep in mind that the process changes, reviewers vary, and if your project is accepted on its first submission, you are very lucky. However, if you use the available tools to check your code and your project build, and follow the guidelines in this series of posts, your path should be smoother. I sincerely hope that you have enjoyed, or at least benefited from, all of these posts. Comments are definitely appreciated, as are links to this blog, good word of mouth, and US currency in both large and small denominations. In the last installment of Preparing for Mac App Store Submission, I discussed the (general) source code modifications that you may need to make in order to convert your downloadable Mac OS X project into one acceptable for the Mac App Store (MAS). Before implementation, it is good to understand, in general terms, the purpose of receipt validation. When somebody “purchases” an application from the Mac App Store, a receipt file is added to the downloaded bundle authenticating it; this includes free products as well. However, the level of checking provided by the system itself is minimal. Soon after the MAS launch, it was discovered that there was a fairly simply method [details deliberately omitted] by which even a simple-minded software thief could circumvent the very basic protections and run stolen MAS applications. The solution, of course, is to verify the validity of the software receipt for your application, which helps prevent “script kiddies” from easily stealing and distributing your products. Of course, it is never quite as simple as that, especially since code signatures and encryption are inherently complex, and the program needs to validate a receipt file that has not been created yet (making this code rather tricky to test). Keep in mind that this validation process is optional, so you can choose not to do it all, to fully validate the receipt file, or to implement only partial checks; the choice is up to you. The official Apple documentation for this process is in Validating Mac App Store Receipts. As mentioned above, your first challenge is that the receipt checking code needs to be able to validate a receipt file from a purchase that is to be made in the future. To do this, you may want to get a sample receipt for testing. This used to be fairly easy, as Apple provided a sample receipt, along with the associated validation data, to Mac developers. Unfortunately, recently (as in, since this series began), the certification signature on the original sample receipt expired and, instead of providing a newer one, Apple has decided to remove the sample receipt entirely in favor of connecting to the iTunes servers to obtain one directly. Whatever. Now, the process involves getting the application to initially quit with an exit code of 173, which indicates a failed verification, which is supposed to trigger iTunes to prompt you for your (test) account credentials and then download a valid receipt and insert it into the application bundle, as described in Test During the Development Process. In practice, this definitively does not work all of the time during development, and the prerequisites are not clear. What is clear is that the application needs to be signed before Mac OS X (version 10.6.6 or higher) will request iTunes credentials, and that they need to be for a test account. However, any old test account will apparently not do, and a failure to produce and/or download a receipt displays no error message (just no receipt and only a vague “returnCode:1” in the console). It appears to be that the application needs to already be in iTunes Connect and that the test account must be associated with that application via the master company account. Unfortunately, for the moment, this remains as an exercise for the reader. Another (unproven) approach could be simply borrowing a receipt from any purchased application from the Mac App Store. You will need to know the exact bundle identifier (fairly easy), version number (also easy), and computer GUID (not quite as easy), but you could use such a receipt exactly like the sample receipt previously provided by Apple. Important: Do NOT include any receipt files in your project. Receipts are specific to the application, version, and system, and they are generated and added by the Mac App Store/iTunes; including a receipt in your submission bundle will result in summary rejection of the application. The first step to take in your source code is to locate the receipt file for checking. In the release version, intended for distribution, the location of the receipt is always within your application bundle at ‘Contents/_MASReceipt/receipt‘. So, our first verification function is GetReceipt(), which returns the path of the (untouched) receipt file. The routine obtains the path to the bundle and then generates the path directly to the receipt for later verification, adjusted appropriately if USE_SAMPLE_RECEIPT is defined. Additionally, just for another sanity check, it also verifies that the actual bundle identifier and short version string match definitions within the code (so we can safely use the definitions later). The next step in validating a receipt is to check the signature to verify that it is properly signed by Apple. Sample code for doing this (as well as the next two steps) can be found in the Implementation Tips section of the Validating Mac App Store Receipts document, as well as via a nice web search. Our second verification function is CheckSignature(), which returns a PKCS7* data pointer (and is essentially a fleshed out version of Listing 1-4 in the section linked above). It opens the receipt file, validates the data types, adds the “Apple Root CA” certificate, and verifies the receipt signature (via PKCS7_verify), then cleans up everything except the receipt pointer, which is returned for use in the next function. At this point, you know that the receipt file exists, it contains data, and its signature is valid. The next step is validating a receipt is to verify the receipt contents and confirm that the receipt is intended for your application and the current version number. The document referenced above gives more details about implementation, but the process is essentially stepping through the objects in the receipt and processing each one appropriately. There are four types of objects within each receipt that are relevant to the validation process: bundle identifier, bundle version, opaque value, and hash. In this step, you want to verify that the bundle identifier and bundle version match the hard-coded definitions for your project. Note that matching against values retrieved from the bundle is not as safe, since the ‘Info.plist’ file could potentially be modified to match an invalid receipt. Also, you will want to store the bundle identifier, opaque value, and hash object values for checking during the next step. Our third verification function is VerifyData(), which accepts the PKCS7* data pointer returned by the previous function. It loops through the objects in the receipt and processes them appropriately, failing if either bundle identifier or bundle version do not match our hard-coded values (IDENTIFIER and VERSION, or SAMPLE_BUNDLE/SAMPLE_VERSION), or if either of these objects is missing from the receipt. Additionally, it saves the objects necessary for the next step. At this point, you know that the receipt is intended specifically for the current version of your application. The next (and, perhaps, final) step in validating a receipt is to verify the system hash to confirm that the receipt is intended for the particular system on which it is being launched. This step prevents the outright copying of entire application bundles from one system to another. Of course, on failure, users are presented with the opportunity to enter their iTunes account information to obtain a valid receipt automatically, so legitimate customers are protected. The general process for this step involves two parts: obtaining the computer’s GUID and then computing the hash of the GUID, which is then compared to the hash value stored in the last step. The sample code in the Apple documentation referenced above describes both steps sufficiently (in listings 1-3 and 1-7, respectively). Our fourth verification function is VerifySystem(), which calls a CopyMacAddress() function to perform the first part of the process, then uses that information to check the system hash. More specifically, the GUID returned is added to a digest, along with the opaque value and the bundle identifier, and an expected hash is calculated. The routine verifies that the computed hash length is the same as that of hash and then checks that the contents are identical. At this point in the process, you now know (to a reasonable degree) that the receipt file exists and is completely valid for that system running the current version of your application. If you are particularly concerned (or paranoid), you can take extra validation steps, such as verifying the certification authorities, double-checking the bundle signature, or (apparently) even sending a receipt back to the App Store for verification. You can also take steps to obfuscate your code and make it harder for crackers to find and modify the application to circumvent your checks, and Apple provides some suggestions. With the addition of receipt validation checking to your project source code, your application should not be subject to simple receipt spoofing, once accepted into the Mac App Store. In the next (final) installment, Part 6: App Sandboxing implementation, I will discuss the process of preparing for and implementing application sandboxing, as required for the Mac App Store by June 1, 2012 (recently pushed back from March 1st). In the previous installment of Preparing for Mac App Store Submission, I provided some guidelines for application data and resources that should be followed (where applicable) as you transform an existing Mac OS X game project into a project that can be successfully submitted to the Mac App Store (MAS). In this fourth part, I will describe a number of modifications to the source code of your project that you may want to make to avoid unnecessary MAS rejections and, perhaps, improve your customer support and project maintenance. These recommendations build on the theme of earlier posts, as most of these changes are due to Apple restrictions against anything having to do with downloading or external sales, including the use of registration codes. As before, these suggestions are based solely on our experience with our products, so it could help to understand the basics of our sales system. We have two separate downloadable builds for each Mac OS X product: one is a trial version, with limitations, and the other is a full version, which is unrestricted but requires a customer-specific registration code (as well as the hidden download location). In order to better understand our customers, each web link in the program adds a very basic tracking code, so we know which version is being used; when online high scores are submitted, we include a hash of the registration code so the scores can be applied to the correct player account. For the Mac App Store, game data that is not directly created by the user must be stored within the user library (not documents) folder. Originally, we stored our saved games and statistics in ‘~/Documents/<project name>/<player>’, which made them easily accessible for our customers, but MAS guidelines (and an explicit rejection) required us to relocate such files to ‘~/Library/<project name>/<player>’, where they are less discoverable by users, especially since ‘~/Library’ is now hidden in Finder. In our case, we actually relocated the files for all SKUs, including a function in the downloadable versions to automatically copy this game data to the new location, to make future customer support more manageable. Note that, with application sandboxing (as discussed in the final installment), the actual location of the (sandboxed) user library is a significantly longer path name, and the main user documents folder is not accessible by default. Obviously, the paths given above are illustrative only; one should never hard-code a path in project source code. Since any sort of registration code is forbidden, you should remove all registration code functionality via conditional compilation. As part of our Project modifications earlier, we added an APPSTORE preprocessor variable to the store version target (only), which now allows us to remove sections of code with “#ifndef APPSTORE”/”#endif” sections. In our case, every place in the code where the trial and full versions were different were already denoted with the preprocessor variable ‘DEMO’, so we only needed to look at each such section and decide if it should be like the full version (i.e., no limitations), which was the case most of the time, or like the trial version (i.e., no registration codes). Honestly, there is a possibility that information from the included MAS receipt could have provided a better (unique) customer identifier, but our implementation (above) was completed before receipt checking was considered. In this case, that is left as an exercise for the reader (but comments on implementation are encouraged). For the store version, you should update any version tracking codes in your project, using conditional compilation (APPSTORE) where necessary. This will allow any usage statistics to differentiate between downloadable and MAS customers, as well as from trial version users (i.e., potential customers). In our case, we simply add a character to the end of link URLs (i.e., as part of a single GET variable) that makes this distinction, so we just added another legal value for MAS purchases. Additionally, our shortened version numbers are slightly different so (savvy) players can identify the product played on the online high score pages (for example, on this FreeCell scores page, see the ‘Product’ column). Consider whether you should modify or remove any marketing screens in your product. If you have dialog boxes which have the occasional link to ordering pages or downloadable content, you will need to remove those links (and any referencing text); if you have dialogs that are explicitly for the purpose of marketing, it may make sense to remove them entirely instead. In the case of our products, we include a fairly self-explanatory ‘Help Center‘ screen which not only contains links to the help files for the product, but also serves as a portal to all manner of support services, including sales (verboten), registration code entry (not allowed), customer support email (probably OK), and suggestions for other games (who knows?). We found that removing the disallowed and questionable content from these pages made them almost pointless, so we instead replaced the entire dialog with a direct link to the help file contents page (within the bundle). In the case of Pretty Good Solitaire, we have card sets which customers can freely download, plus a feature to check for and download updates, both of which are forbidden in the Mac App Store. The following subsections describe the issues that we had to address to prevent suggesting that there was anything outside the MAS playground. We had to remove our ‘Download Additional Card Sets‘ menu option from both the main and game menus. We had to remove our ‘Download Latest Version‘ menu option, which includes an implicit version check, from the both the main and game menus. We had to also remove a ‘Download Additional Card Sets‘ menu option from our submenu that players use to select the desired card set (a logical and convenient place to find it). Finally, we had a ‘Download Additional Card Sets‘ button within the program preferences, which also had to be removed (actually, hidden). Note: In all of these cases, rather than modify our user interface (.nib) files, and thus have to manage different sets of files, we added conditional code that simply removed the offending menu option or hid the button, keeping the source code (including .nib files) identical between downloadable and store versions (distinguished solely by the presence/absence of APPSTORE). However, there is a twist: “These strings must match what you provided through iTunes Connect for this application.” This particular requirement is somewhat buried in the guidelines, and it is not always checked. In our case, we inadvertently created but did not use (in the store version) a folder, ‘~/Library/Application Support/Goodsol’, which seems to fit the criteria. However, it was supposed to end in ‘Goodsol Development’ to meet the letter of this requirement. This “violation” was not discovered until our third or fourth submission, and our downloadable versions already used the folder extensively as named. Fortunately, the store version did not actually use it (by virtue of including all downloadable content), so we just removed the spurious creation of an empty folder. Problem solved (albeit with yet another rejection and delay). With the above modifications to source code, plus perhaps a little detective work finding similar issues with any particular application, your project should be tentatively ready for submission to the Mac App Store. In the next installment, Part 5: Mac App Store receipt validation, I will discuss the reasons that you should probably validate receipts in your shipping product and provide a few links to useful code and resources. In the previous installment of Preparing for Mac App Store Submission, I detailed changes to the information property list that are necessary (or recommended) for a Mac OS X game project being converted to one suitable for MAS submission. This third part deals with practical implications of guidelines for project data and resources, in particular, artwork and help files. These points are necessarily somewhat specific to the manner in which we implemented our products, but they should give you some idea of items to look out for, and as always, comments on your experiences are encouraged. The Mac App Store requires a 512×512 image in the application icon file. Although this is generally overkill for an application, it is necessary for MAS submissions, where that image size is (presumably) used for presenting your product to users. Although it seems (and truly is) silly, you need to review your branding artwork and update anything that even hints that there is another way to obtain software than through the Mac App Store. In our case, we had a static bitmap used as a splash screen. It included the (innocuous) line, “Download the latest version of Pretty Good Solitaire from http://goodsol.com“; it was hardly noticeable, and the web address was not even a hot link. Rejection. We had to remove that text before resubmitting (and we also removed the line with our support email address, just in case). Continuing with the theme, you will need to add any extra product data that you may want customers to have, especially any data previously available via download. 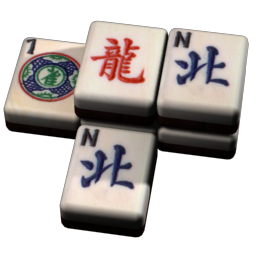 In our case, we have (20) extra card sets that are available for Pretty Good Solitaire customers to download (and, likewise, extra tile sets and custom layouts for Pretty Good MahJongg), so these needed to be added to the main bundle to avoid Apple’s allergy to downloading. Similarly, if you have an install bitmap in your bundle, as I recommended in Making Mac Disk Images Pretty, you may as well remove that, too (since there is no disk image packaging to be done). Review your help files and remove any pages that discuss verboten topics, such as downloading, registering, or (especially) purchasing the product. We have an entire section called “How to Order”, dealing with all of those topics, that is just removed wholesale for the MAS submission (but remains in our downloadable versions); it was the cause for a rejection. Note that Apple does not reject for simple web links back to a product site, which itself may have loads of sales and download information, but you will want to be careful about the surrounding text. Building from the previous guideline, after removing entire pages about problematic topics, check other help topics and remove any text referring to downloads or sales, even indirectly. In our case, we have rule pages for our bonus games, which are provided in the full (purchased) version, and we removed the line, “Note: This game is only available in the full version of Pretty Good Solitaire.” Elsewhere, we also replaced “the full version” with “this version”. Using the above guidelines, you should be able to make sure that your project does not include any content that Apple may find “objectionable”, giving them cause to reject the submission. In the next installment, Part 4: Source code modifications, I will discuss the numerous (small) changes that may be necessary in your project source code. In the last installment of Preparing for Mac App Store Submission, I discussed the project modifications that are necessary (or recommended) for converting an existing Mac OS X project to one suitable for MAS submission. This second part describes the changes to the information property list for your application that you should make for successful submission and to eschew rejections for simple issues. As before, comments about any other issues or different experiences are certainly welcome. First, update the format of the ‘Bundle version’ entry (CFBundleVersion) to contain exactly 3 period-separated integers representing the version number (e.g., “1.01.1“). It cannot contain alphabetic characters (and although some documentation suggests that it may contain more or fewer integers, we did not take that chance). For non-MAS applications, the format of this field was not enforced and, in fact, the default ‘About’ box encouraged the use of this field as a standard version description (alphanumeric string) by directly displaying it underneath the application name. We used a format like, “1.01 (January 2012)”, which is more useful and aesthetically pleasing, but this was cause for rejection. If you do not have one already, you will need to add an ‘Application Category’ entry (LSApplicationCategoryType). The easiest way to set this value (in Xcode 4) is to select the ‘Summary’ tab for your target and select the appropriate setting in the ‘Application Category’ box. In the case of Pretty Good Solitaire, we chose ‘Games – Card Games’ (public.app-category.card-games). Note that Xcode 3 did not recognize this key, so it was necessary to explicitly add it, along with the appropriate category value, as found in the Information Property List Key Reference; fortunately, this is no longer necessary. Next, set the ‘Minimum system version’ entry (LSMinimumSystemVersion) to “10.6.6”, or higher if appropriate. The Mac App Store does not work on versions of Mac OS X prior to 10.6.6 anyway, and leaving this at a lower setting (even if your downloadable versions support Leopard, Tiger, or even an earlier OS) may be cause for a rejection. Finally, review the supported ‘Document types’ entry (CFBundleDocumentTypes), if any. Remove any document types that will not be supported in your store version. In our case, we supported a document type for saved games, which is still useful, but also a document type for automatic installation of extra card sets (which can be downloaded), or in the case of Pretty Good MahJongg, types for both extra tile sets and tile matching layouts. Since downloading or installing any improvement to your application (outside of the Mac App Store) is verboten, we needed to remove this support. Note that this initially passed muster with our first product, but it was cause for a rejection later on a different product using essentially identical functionality. There is clearly some subjectivity to the application reviews, so a more thorough (or nitpicky) reviewer may find something previously allowed. When a rejection can set your release schedule back a couple of weeks or more, it is not worth the risk. With just these few changes to your information property list, your project should have the necessary application information for submission. In the next installment, Part 3: Data and Resource guidelines, I will describe the issues you may encounter with your application data.